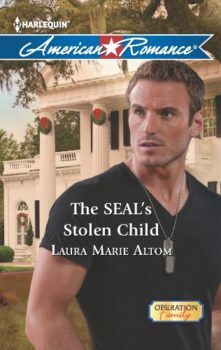 He’s defended his country and upheld the code of the navy SEALs, but Garrett Solomon has never faced a mission quite like this. As teenagers, he and Eve Barnesworth were passionately in love. Eve’s unplanned pregnancy only deepened his commitment to her. But Eve’s powerful father, fearing a scandal, whisked her away. As far as Garrett and Eve knew, their baby had died—and with it, their love. Years later, the loss and betrayal still pain Garrett deeply. Then comes shocking news: the child is still alive. Determined to find their stolen son, Garrett and Eve join forces. Working together is strictly business…until it isn’t. Because it seems their powerful attraction—like the child they once thought was gone forever—is still very much alive.